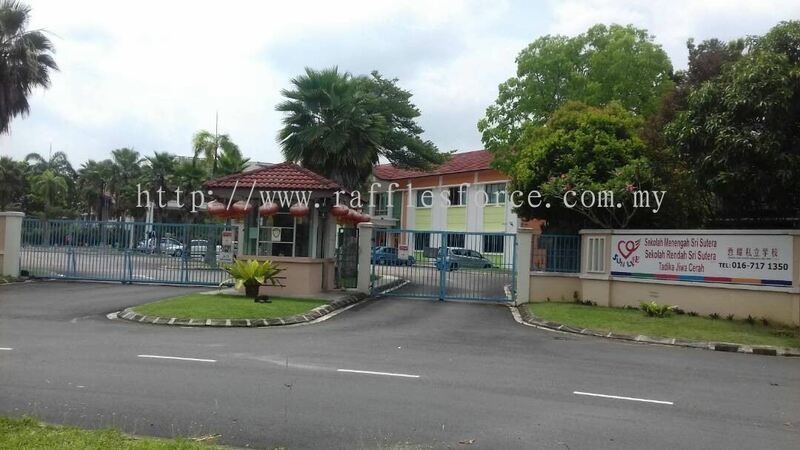 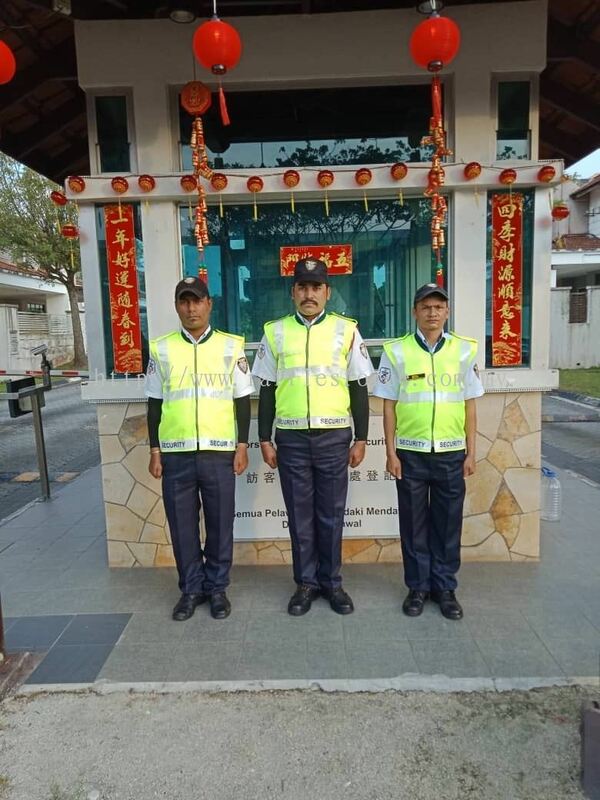 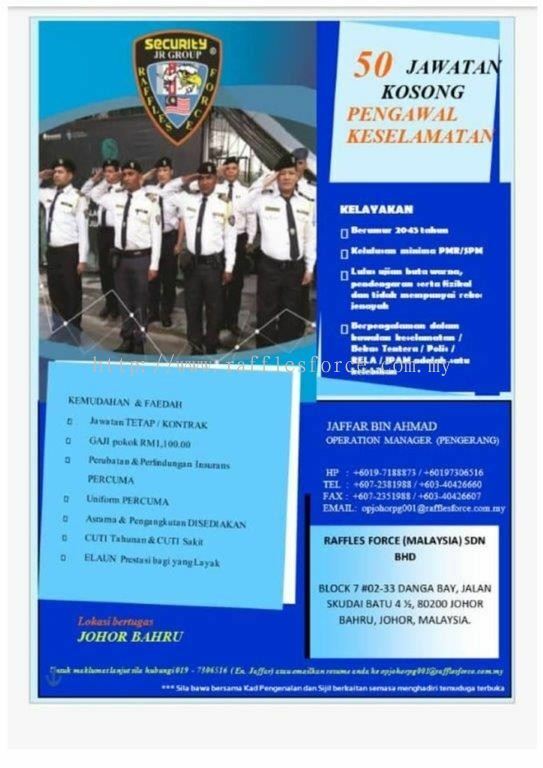 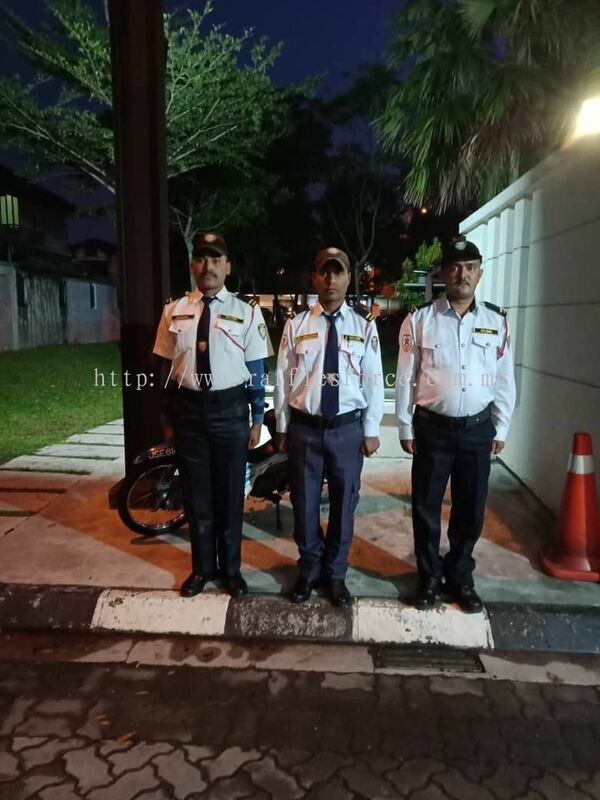 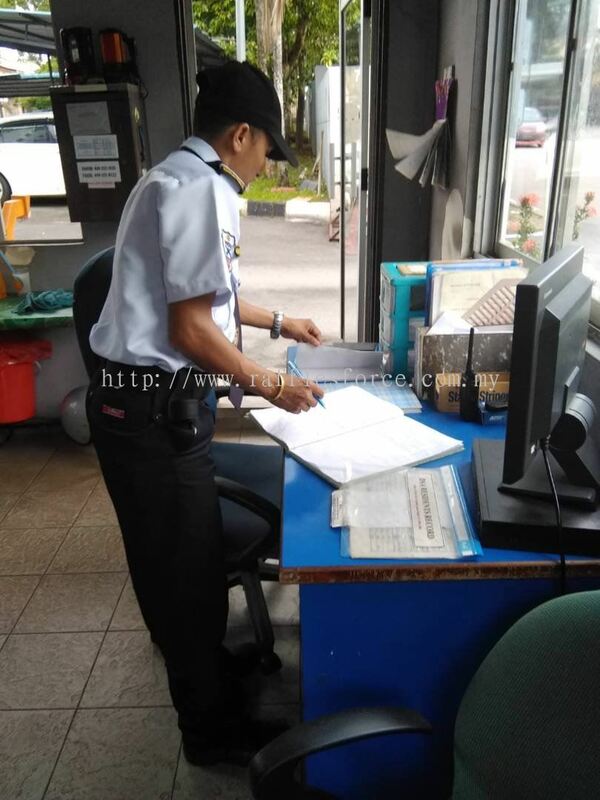 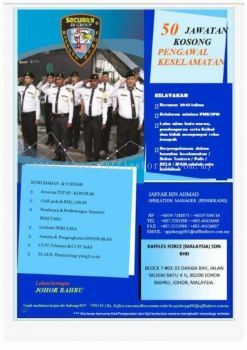 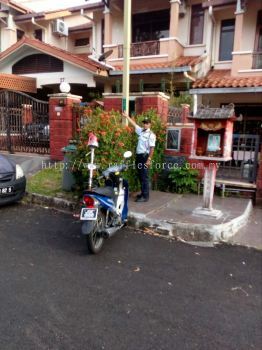 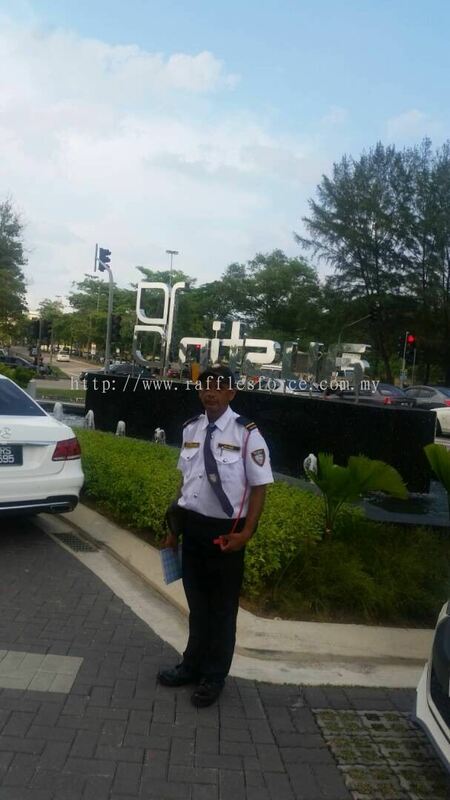 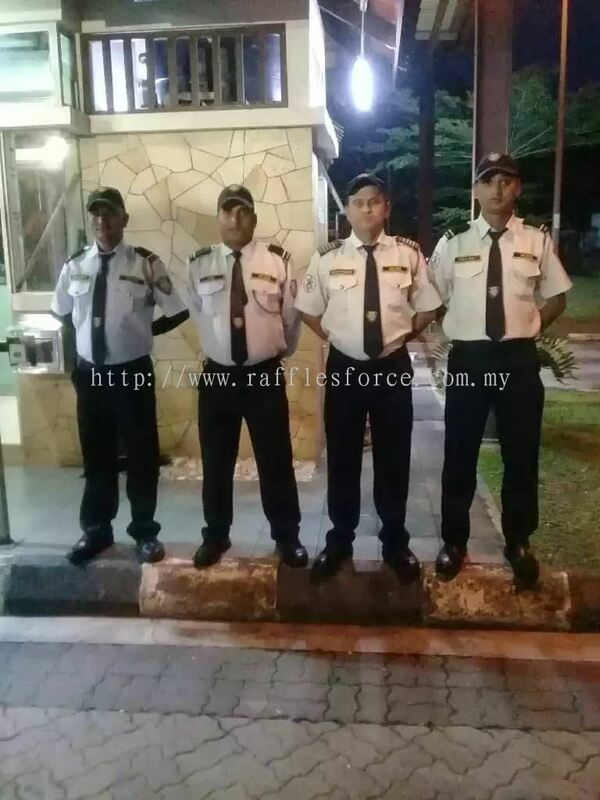 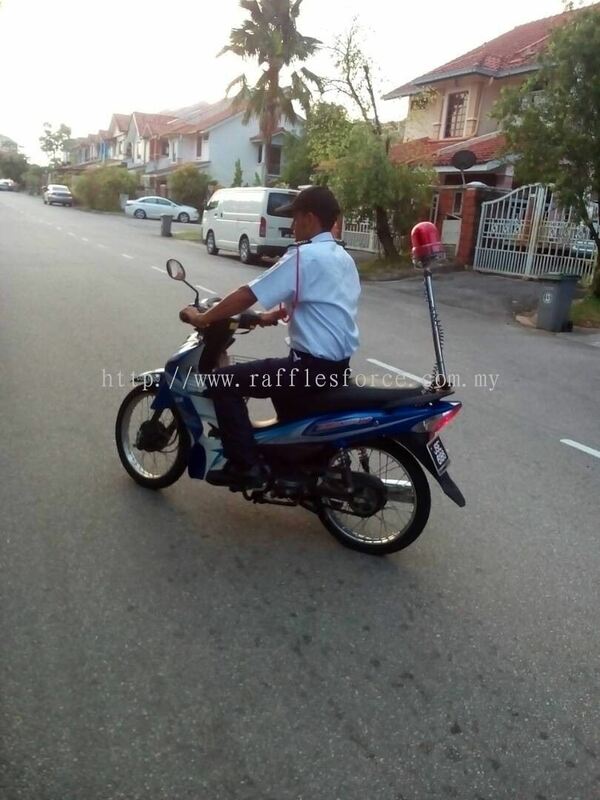 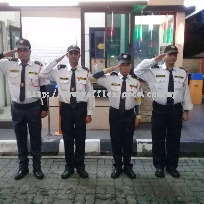 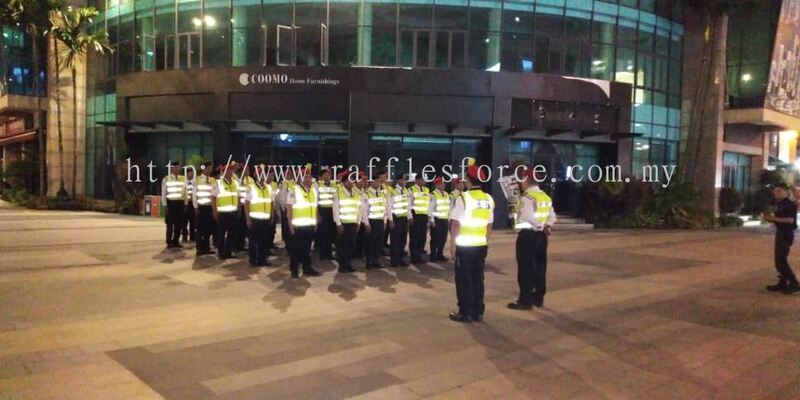 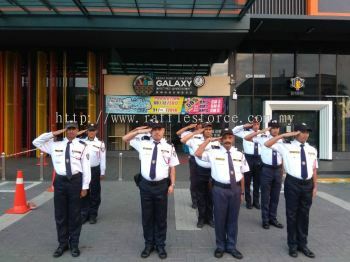 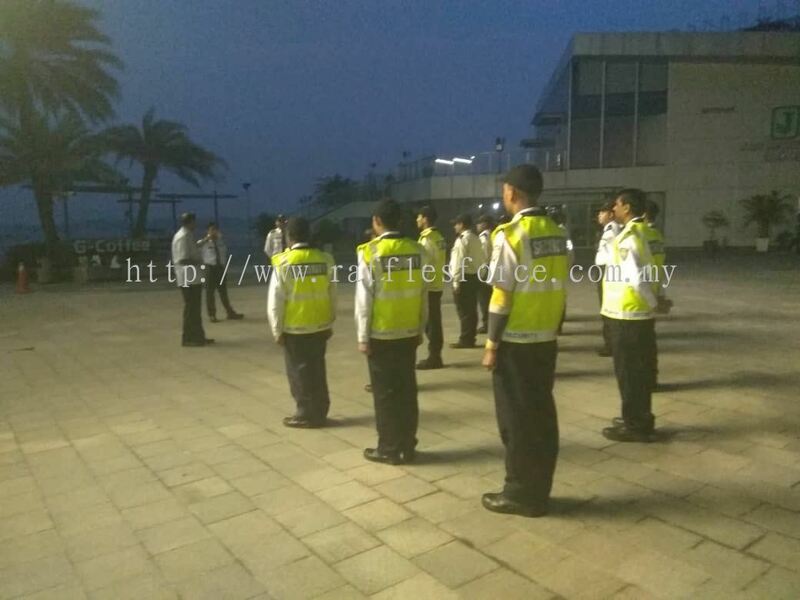 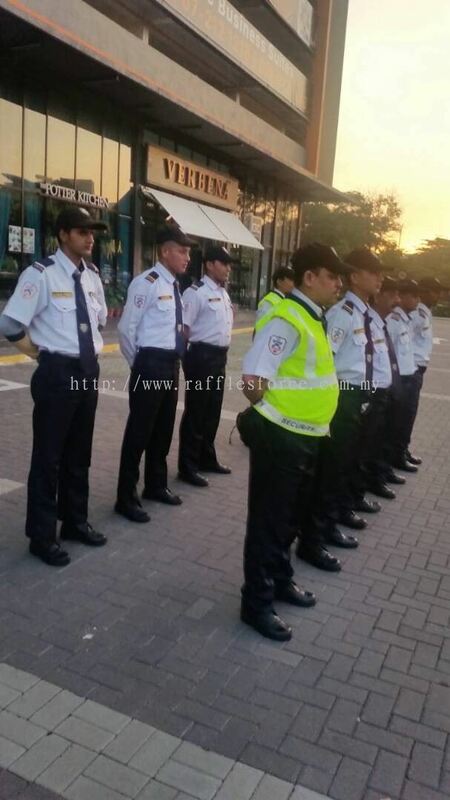 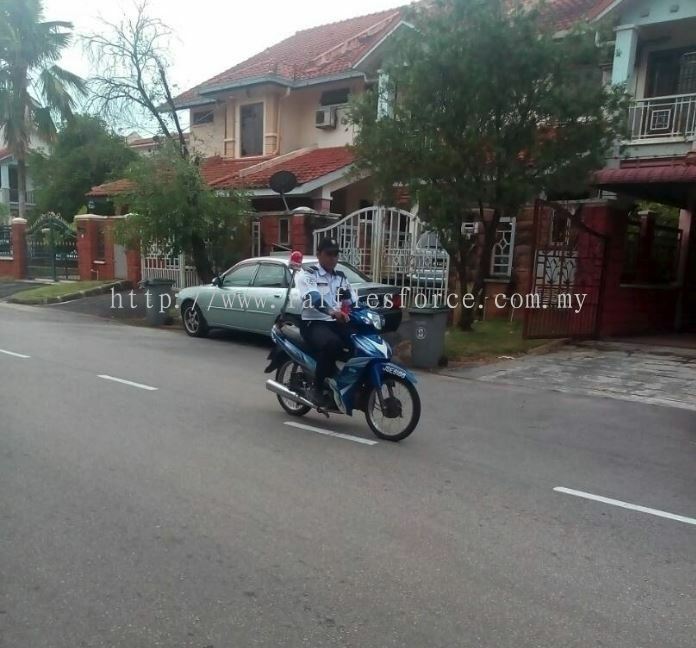 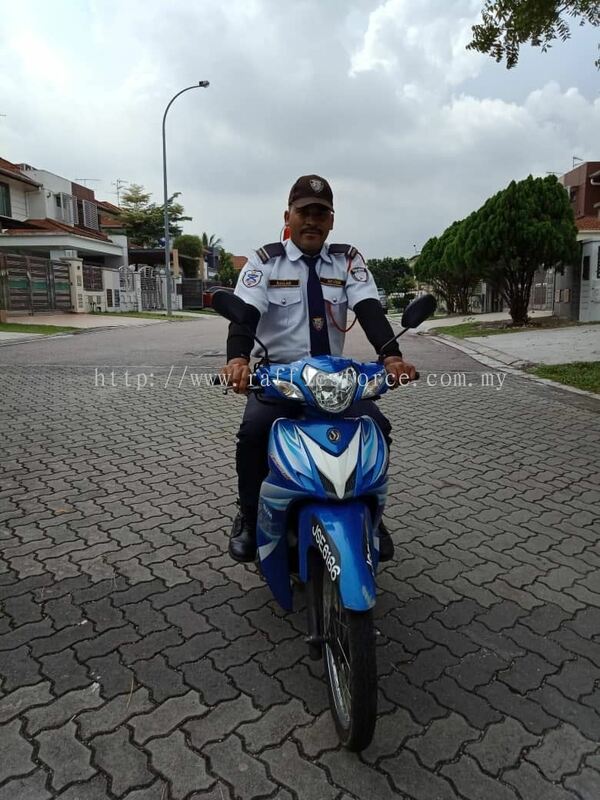 Raffles Force (Malaysia) Sdn Bhd - Raffles Force (Malaysia) Sdn Bhd is a company that provides security guard services. Our main office is located in Kuala Lumpur (KL), Malaysia. 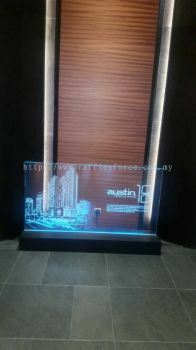 Suite 15-3, Jalan 15/48A, Sentul Raya Boulevard, Off Jalan Sentul, 51000 Kuala Lumpur, Malaysia. 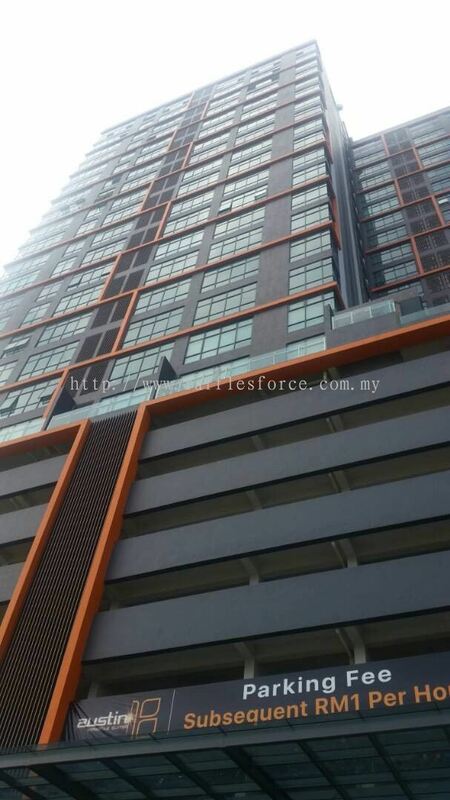 Blok 7, #02-33, Dangga Bay, Batu 4 1/2 Jalan Skudai, 80200 Johor Bahru, Johor, Malaysia. 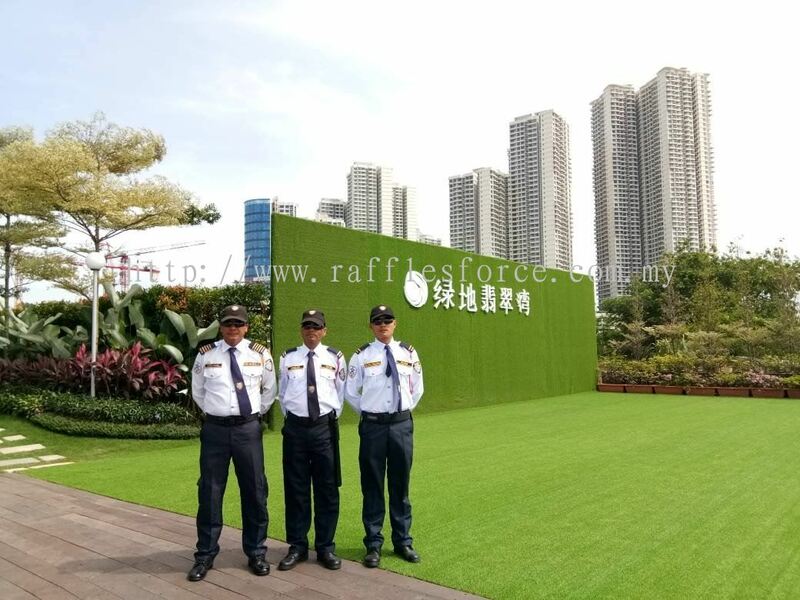 Raffles Force (Malaysia) Sdn Bhd was established in 2013 with Head Office located in Kuala Lumpur & Operation branches in Central, Southern and Northern Regions. 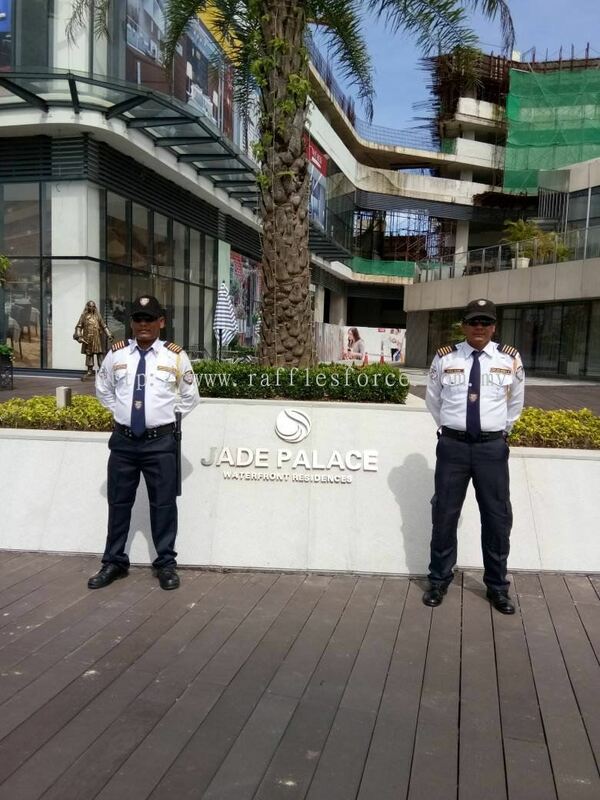 Our Security Guards comprised of both Nepalese & Local where majority local force are from third reinforcement team so-called RELA. 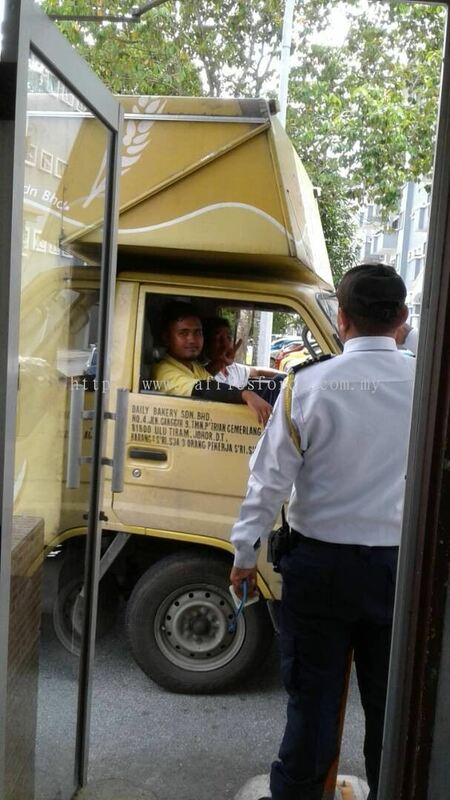 Some of our Nepalese guards are of ex-army and ex-police background. 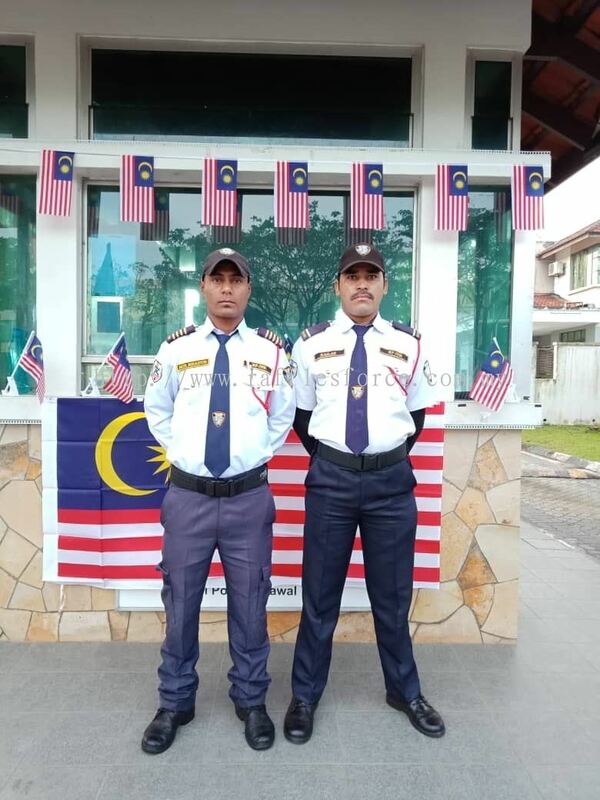 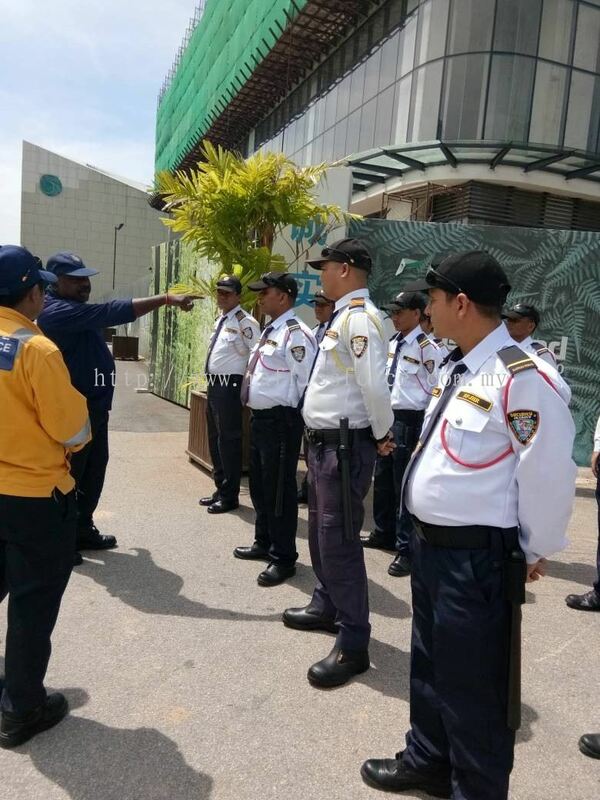 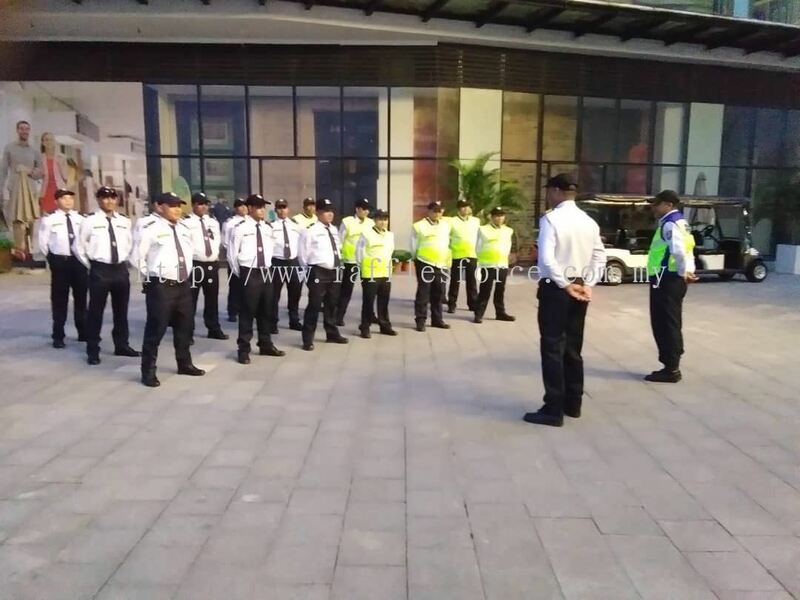 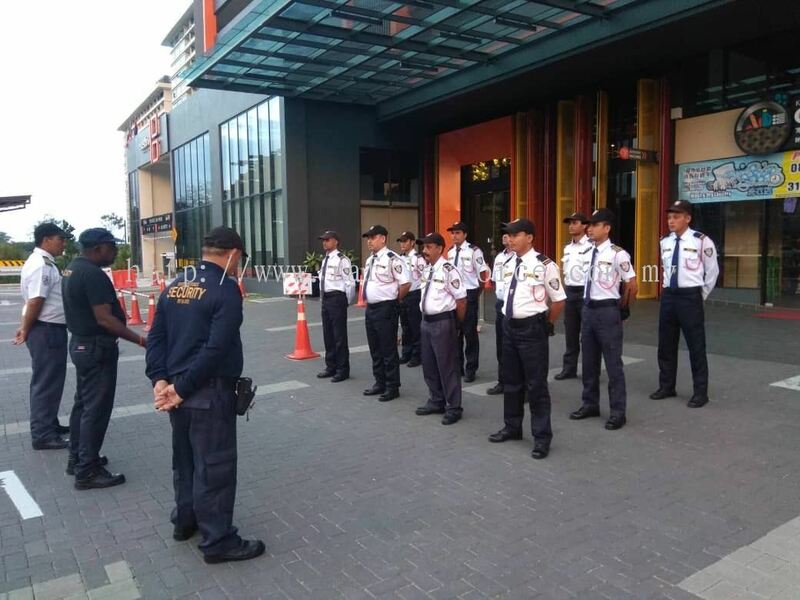 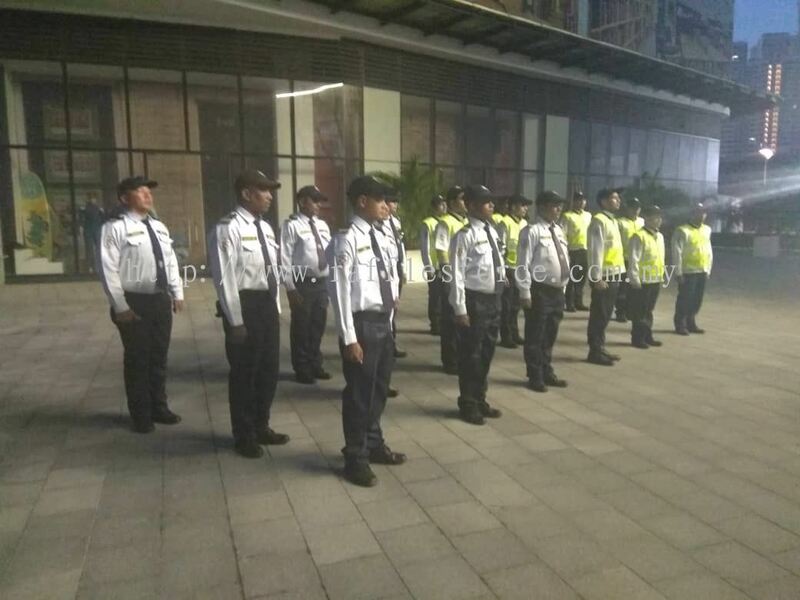 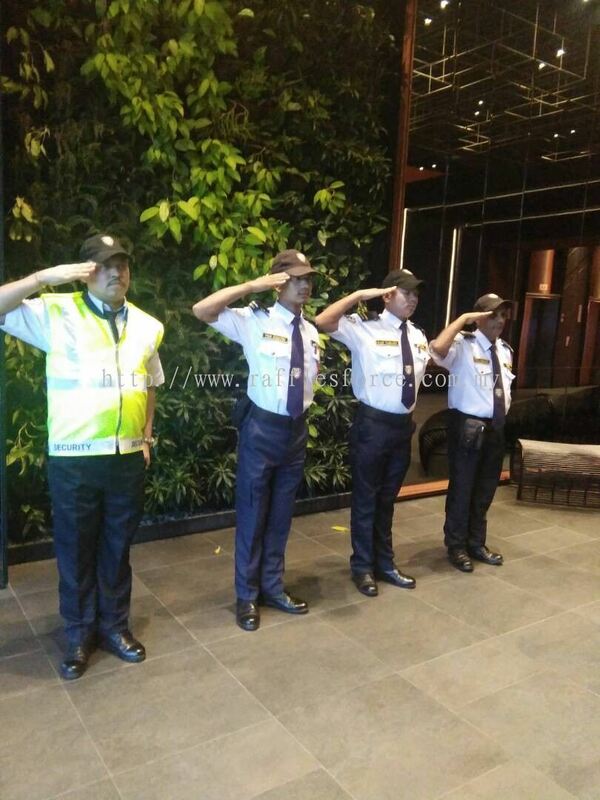 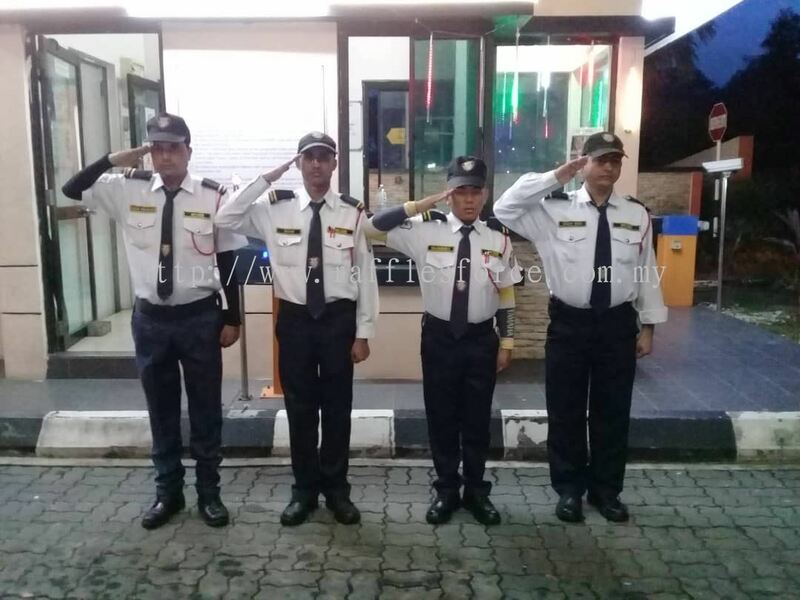 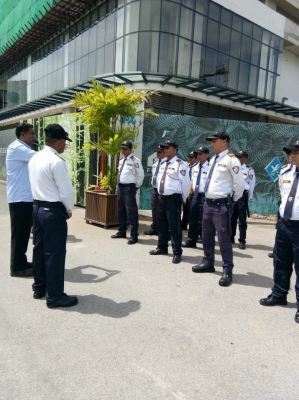 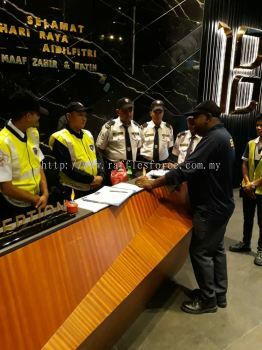 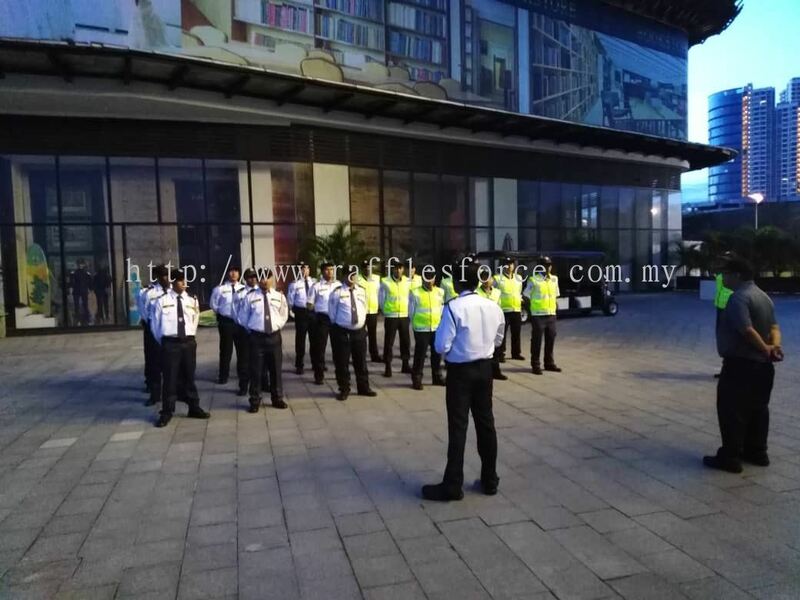 They are of Malaysia 3rd Reinforcement team so known as Jabatan Sukarelawan Malaysia (RELA) which assists Police force and Immigration department in executing of duties. 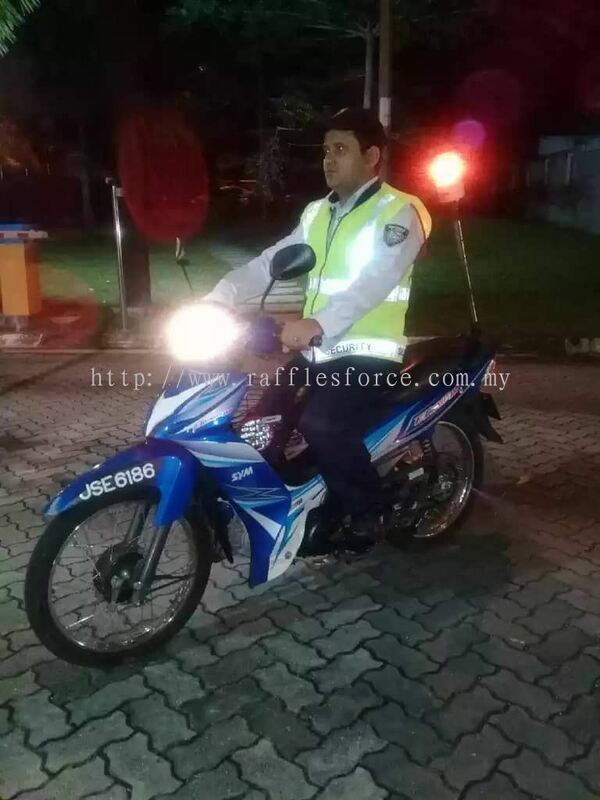 Raffles Force (Malaysia) Sdn Bhd added new product in Manufacturing & Industrial Security Category. Raffles Force (Malaysia) Sdn Bhd added 52 new products . Raffles Force (Malaysia) Sdn Bhd added new product in Residential Protection Category. 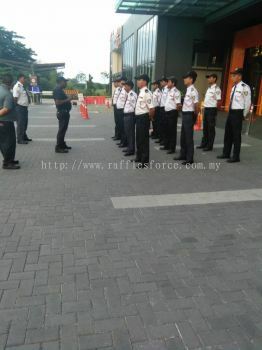 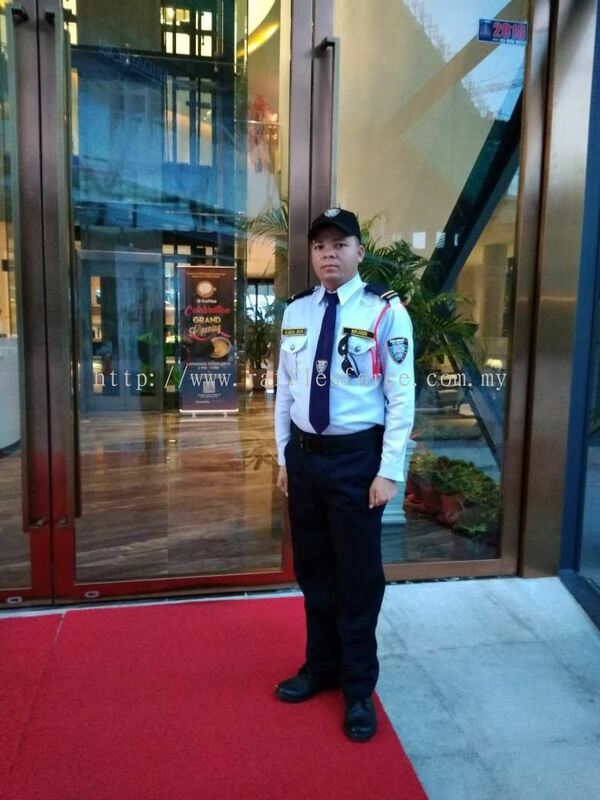 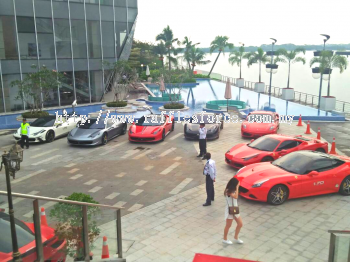 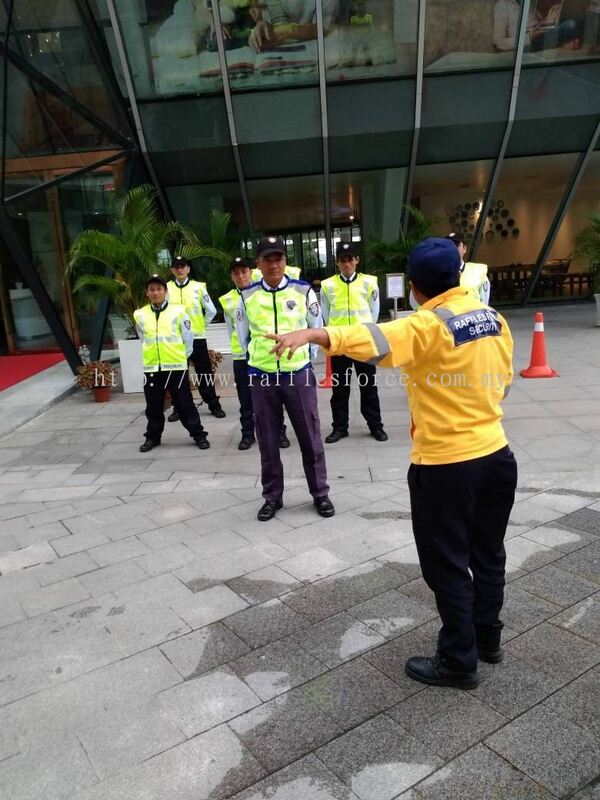 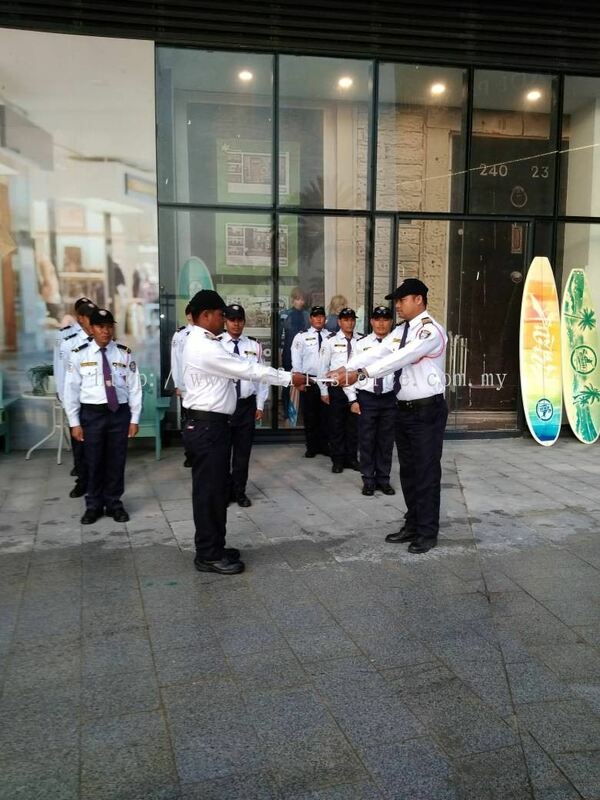 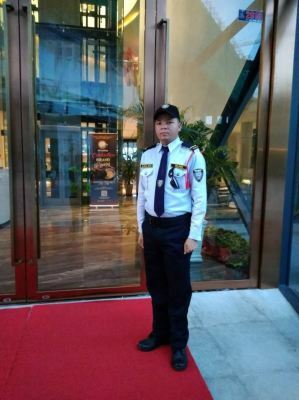 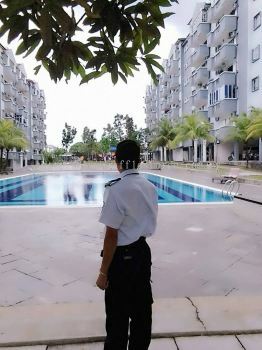 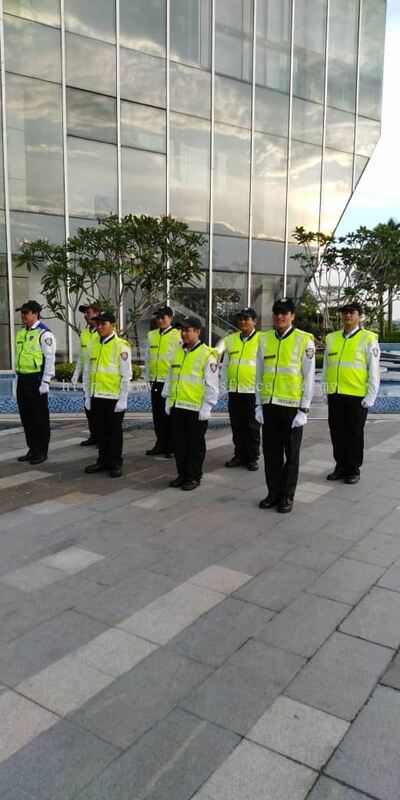 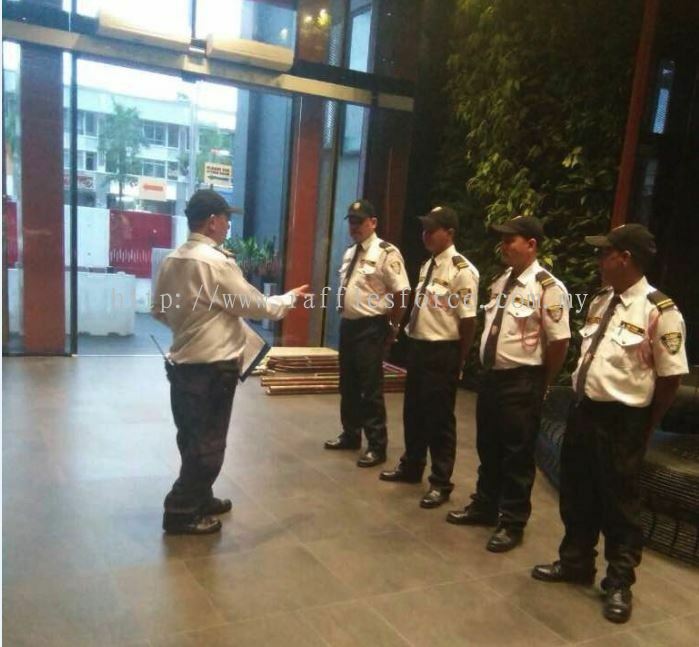 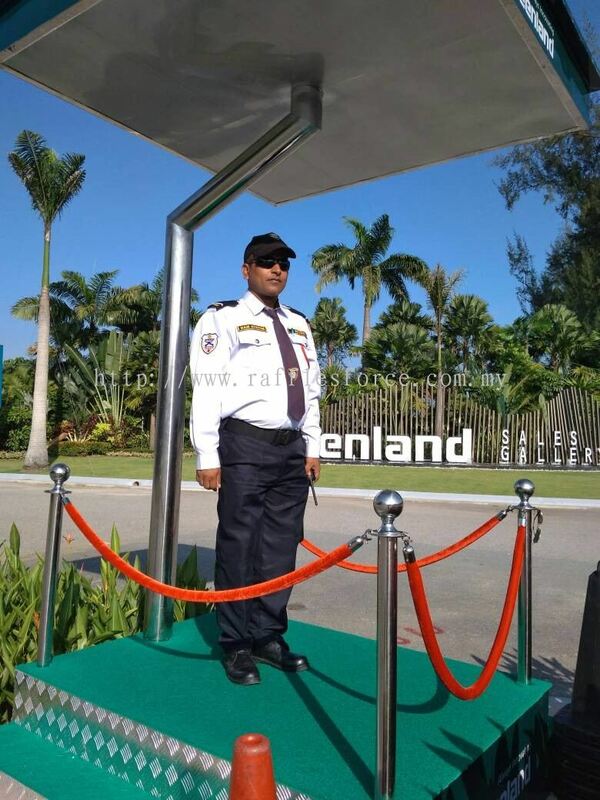 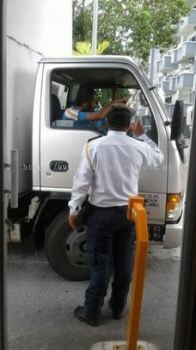 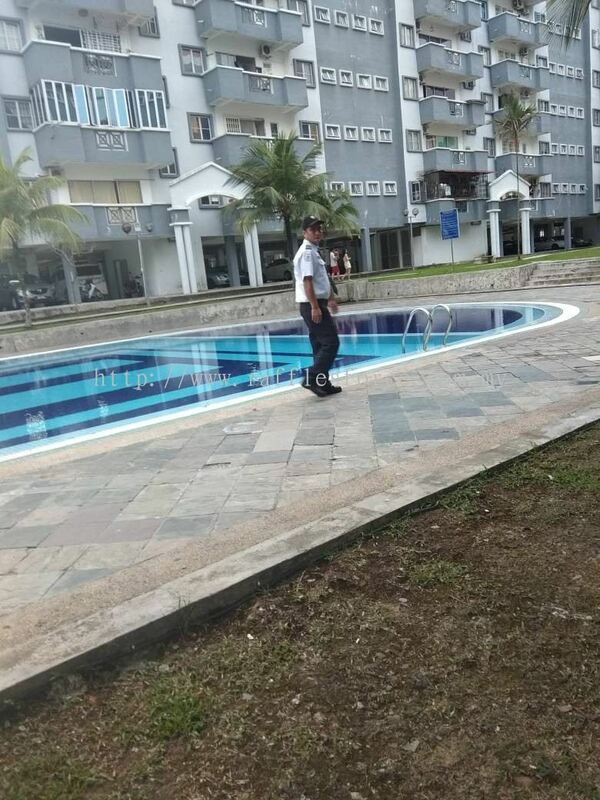 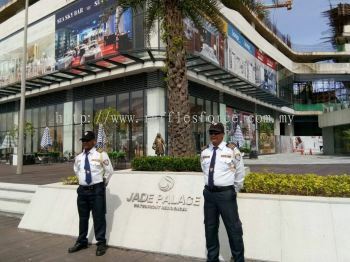 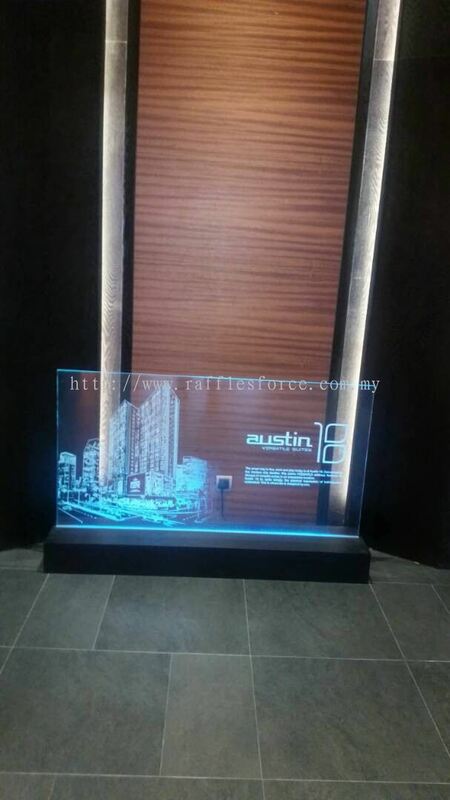 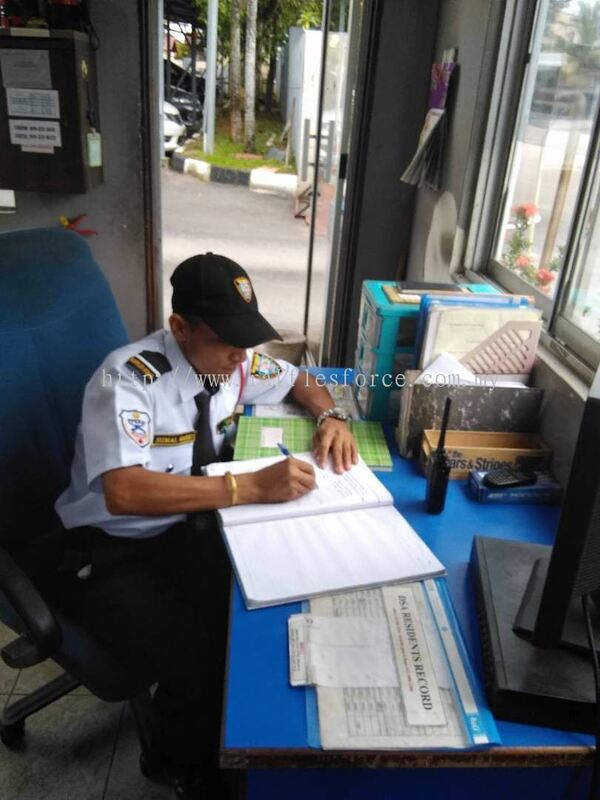 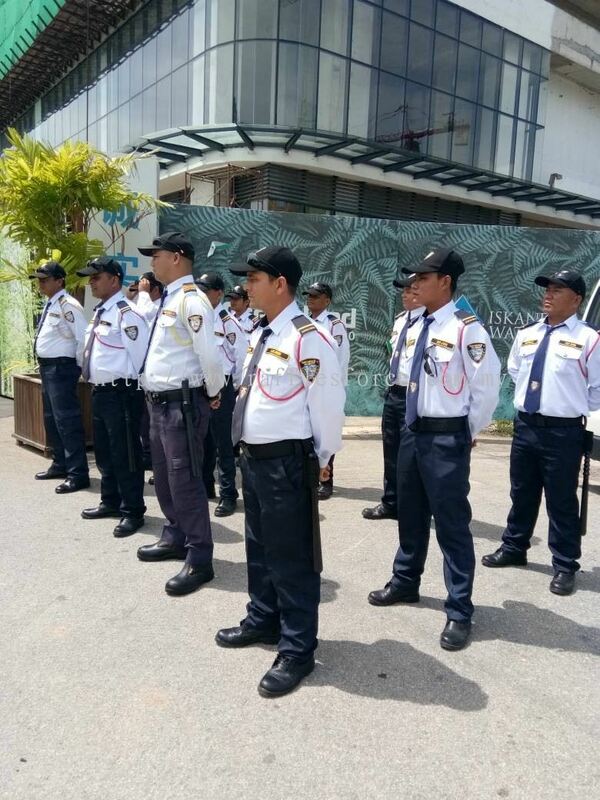 Raffles Force (Malaysia) Sdn Bhd added new product in High Rise Buidings Guarding Category. 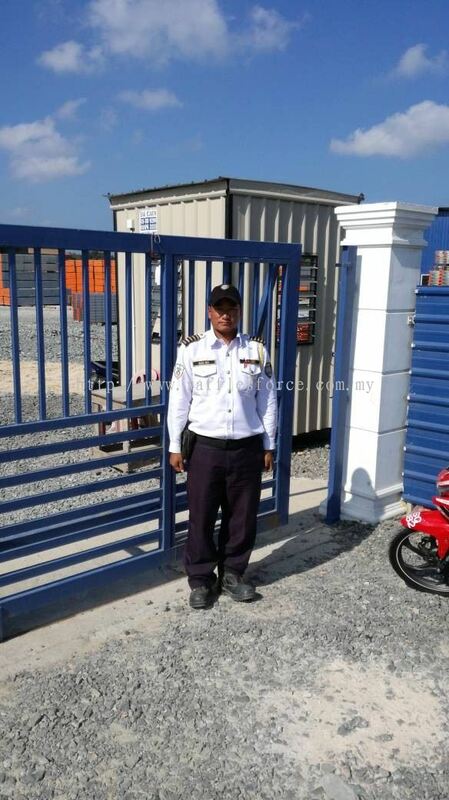 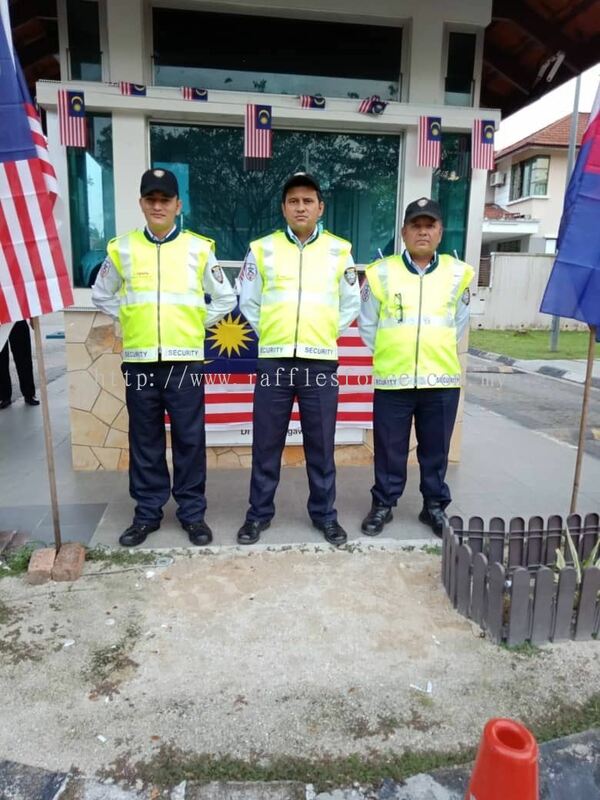 Raffles Force (Malaysia) Sdn Bhd added 2 new products in Under Construction Building (Patrolling Services) Category. Raffles Force (Malaysia) Sdn Bhd added 32 new photos to the album. 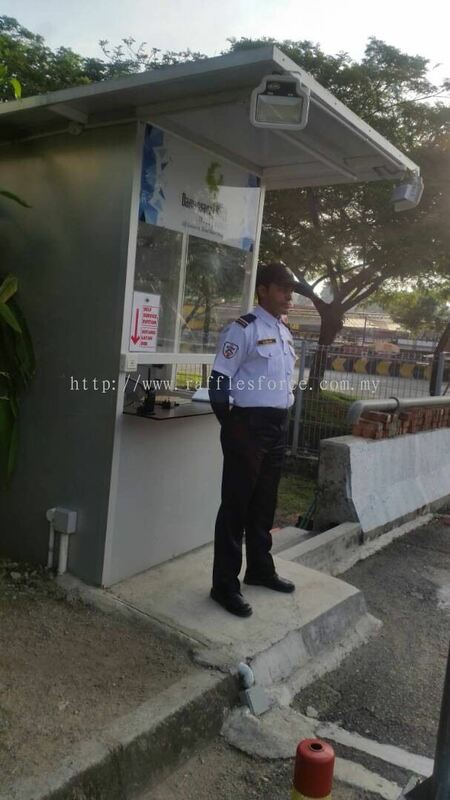 Raffles Force (Malaysia) Sdn Bhd added new product in Warehouse Security Category. Raffles Force (Malaysia) Sdn Bhd added 3 new products in Residential Protection Category. 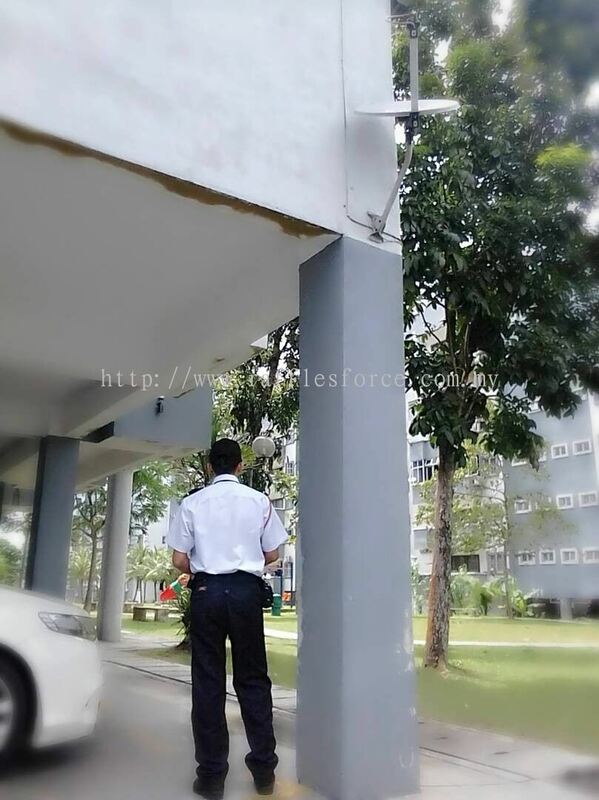 Raffles Force (Malaysia) Sdn Bhd added new product in Colleges & Universities Security Category. 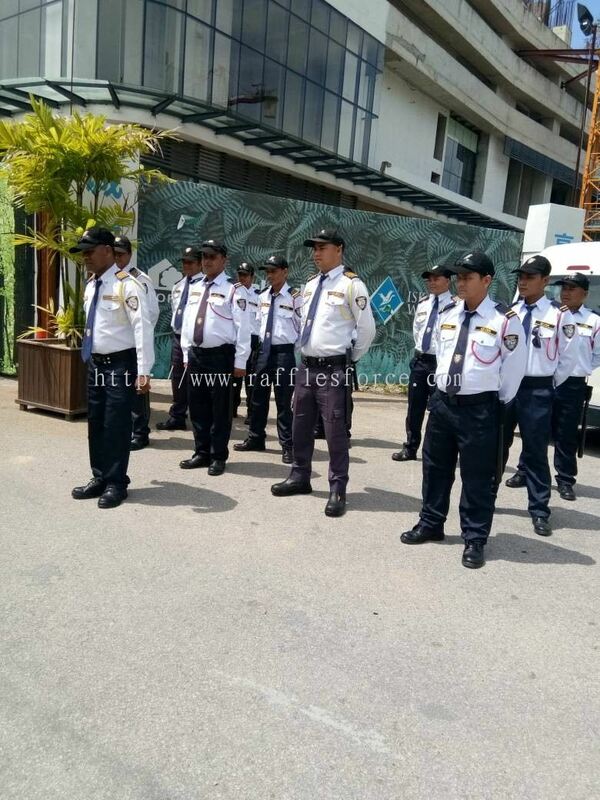 Raffles Force (Malaysia) Sdn Bhd added new product in Special Event Security Category. 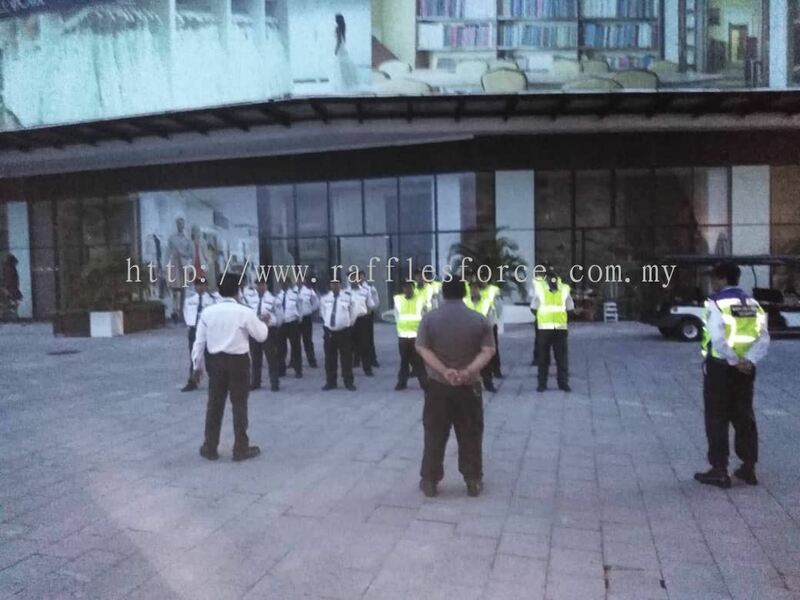 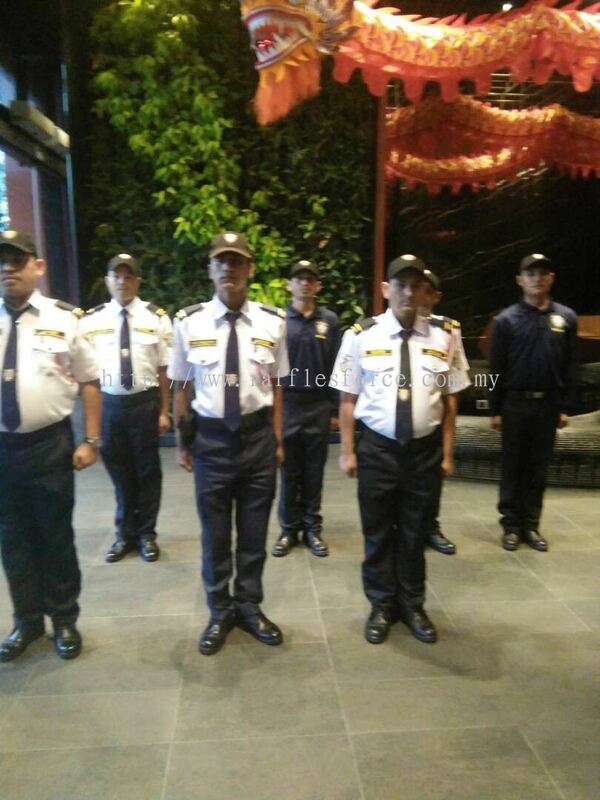 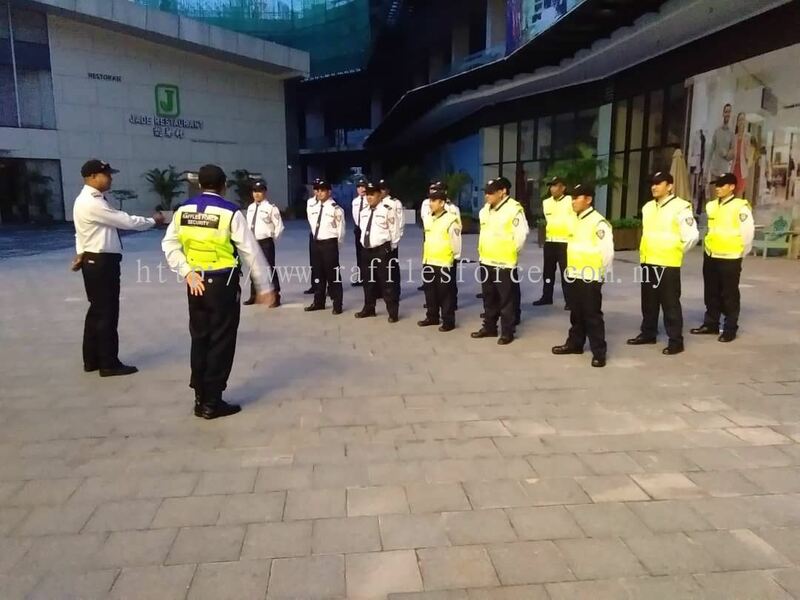 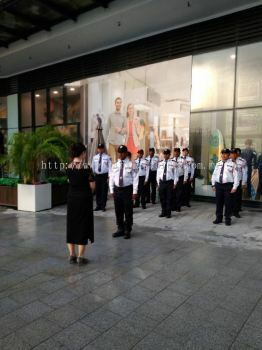 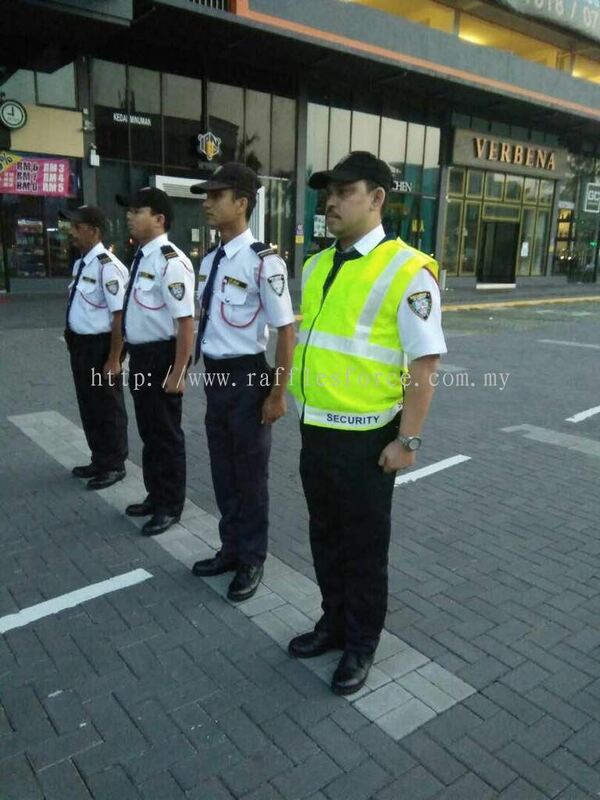 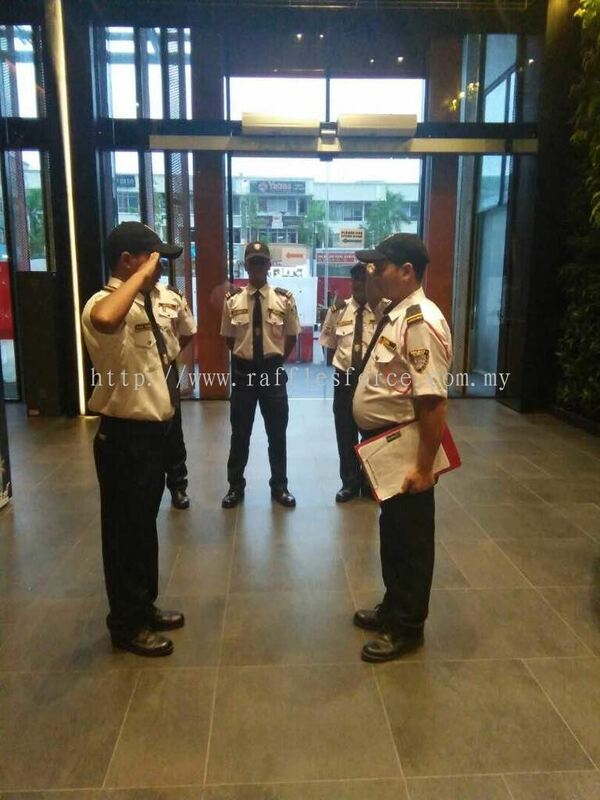 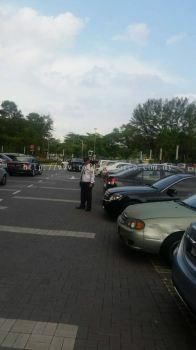 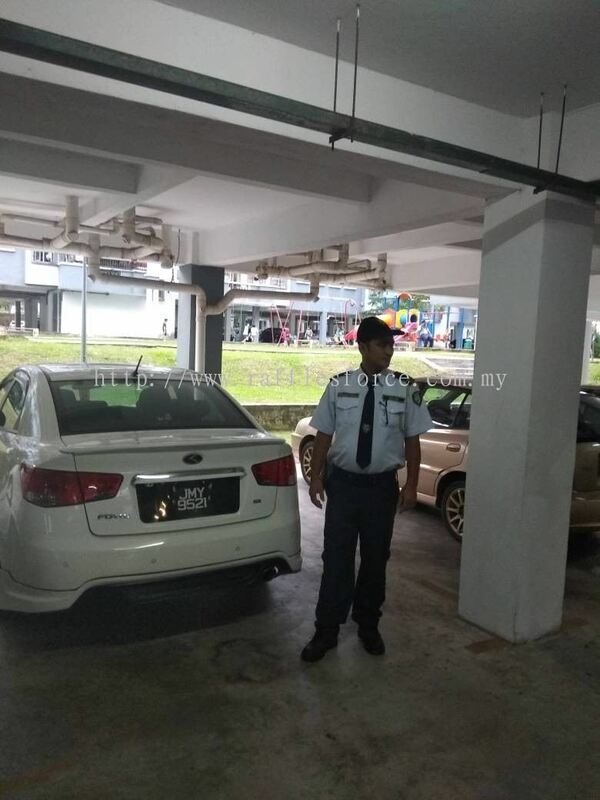 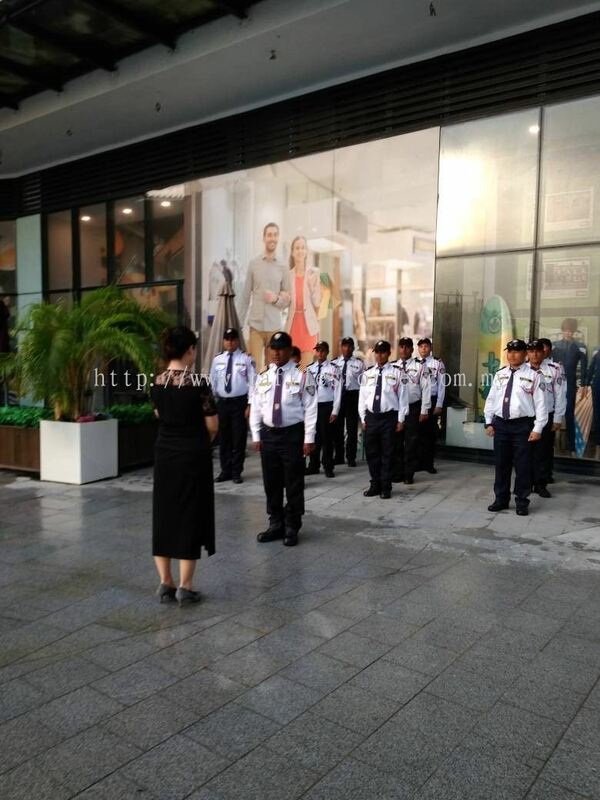 Raffles Force (Malaysia) Sdn Bhd added 2 new products in High Rise Buidings Guarding Category. 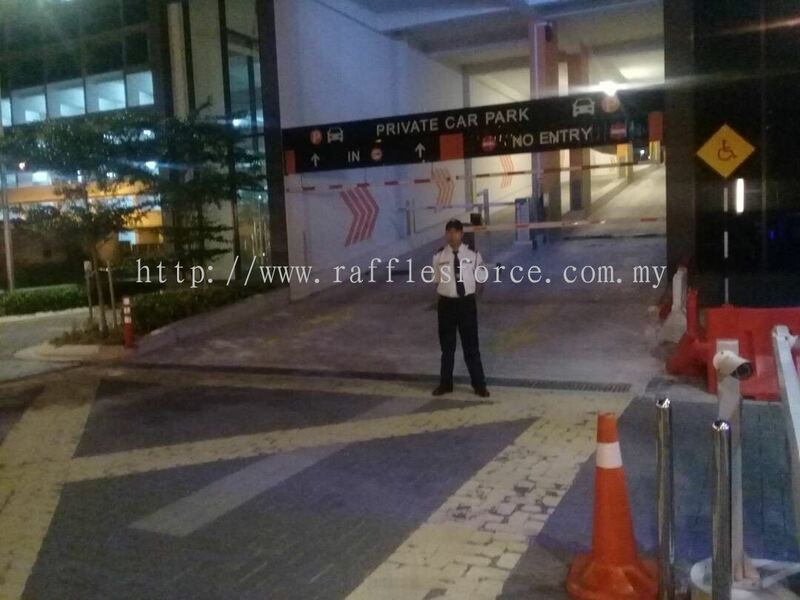 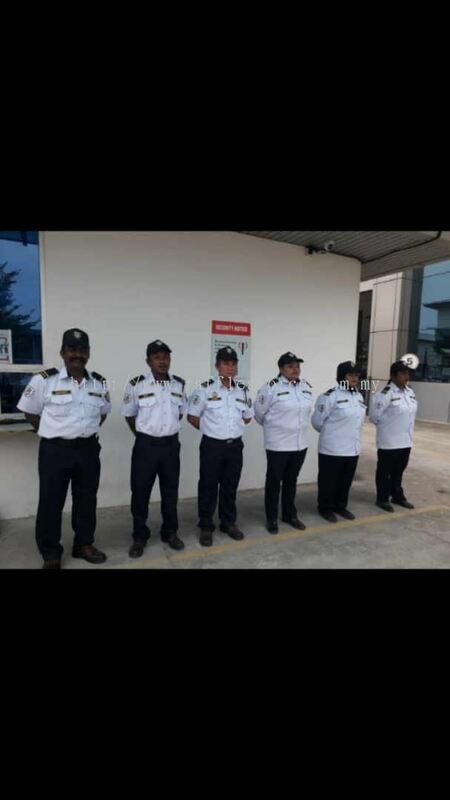 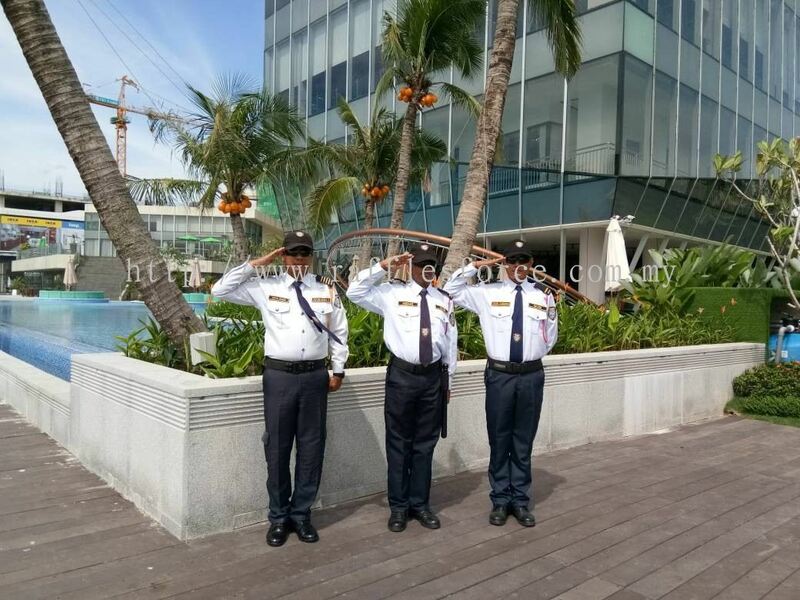 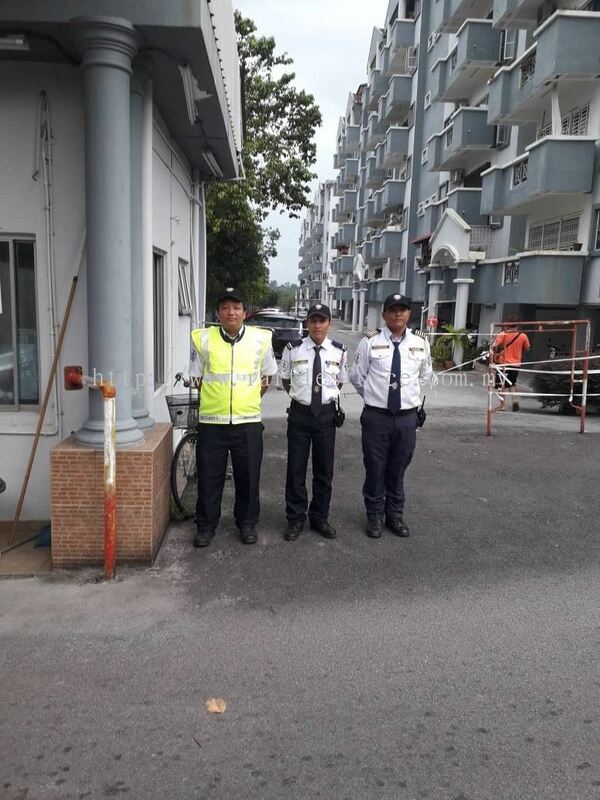 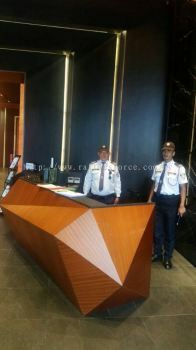 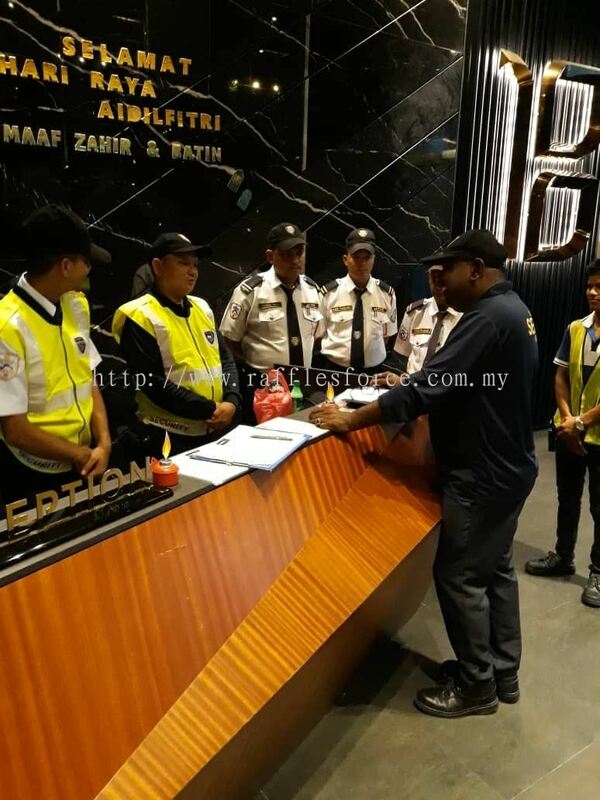 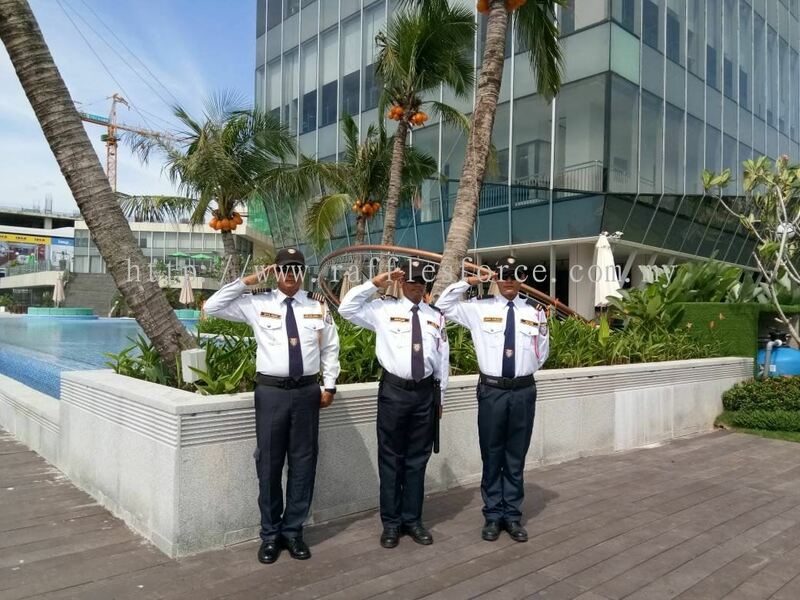 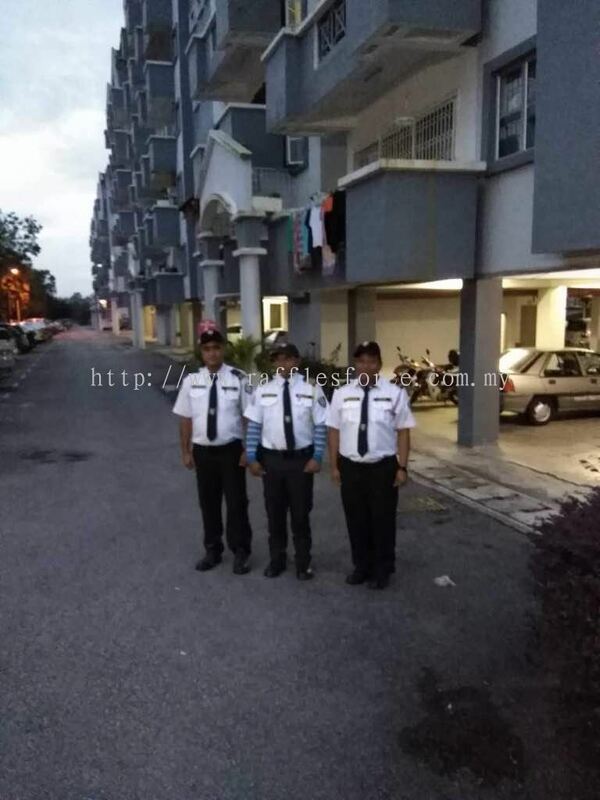 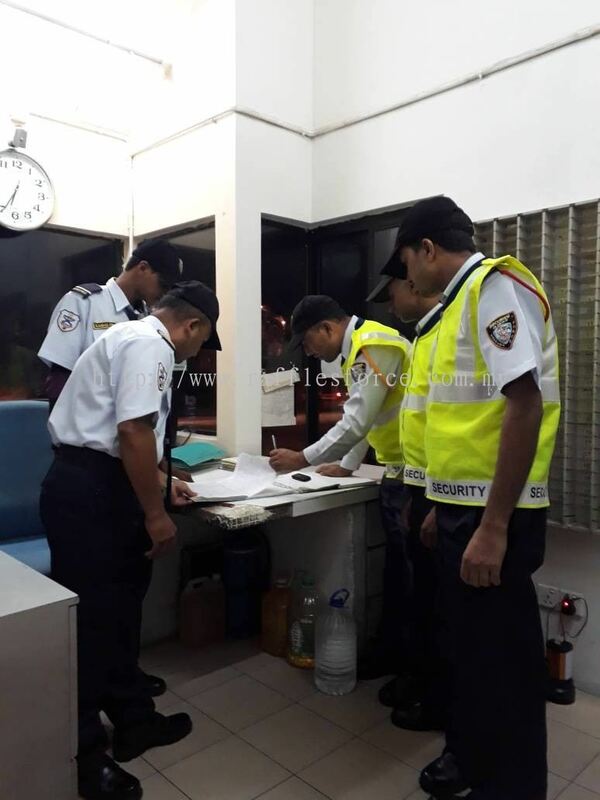 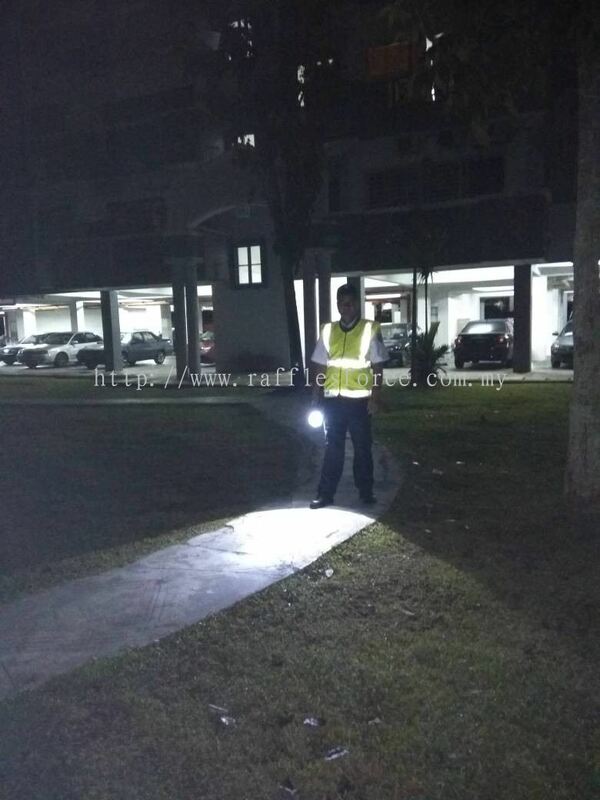 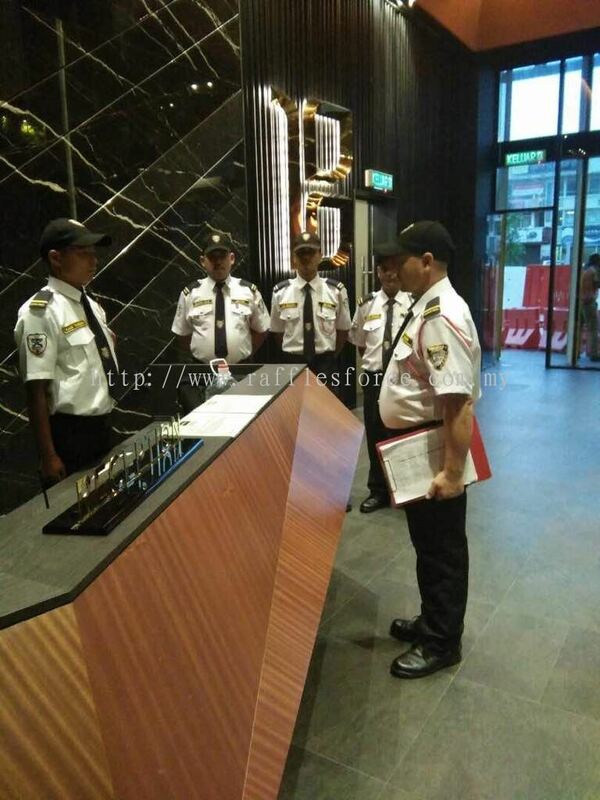 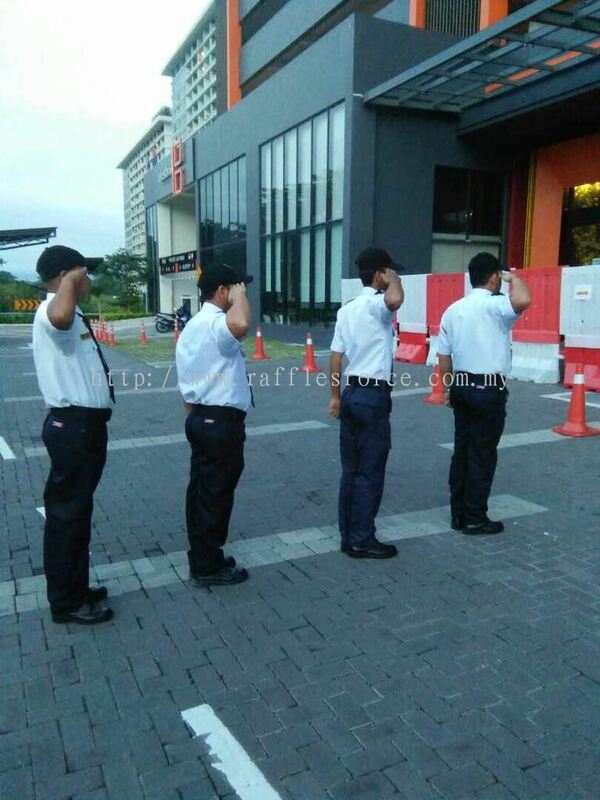 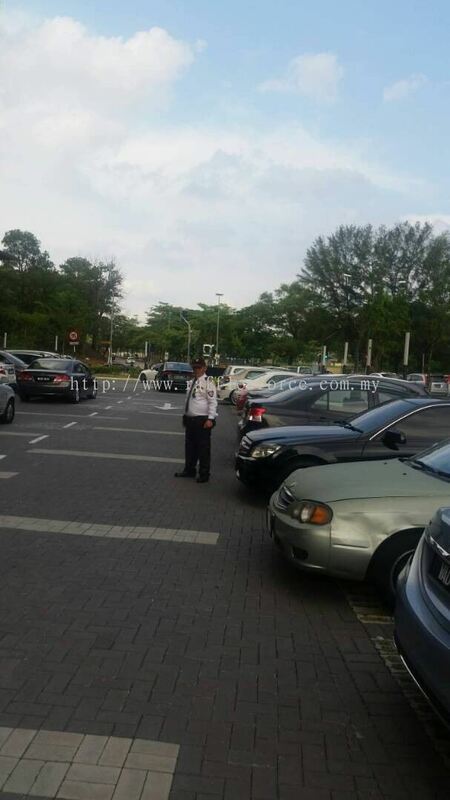 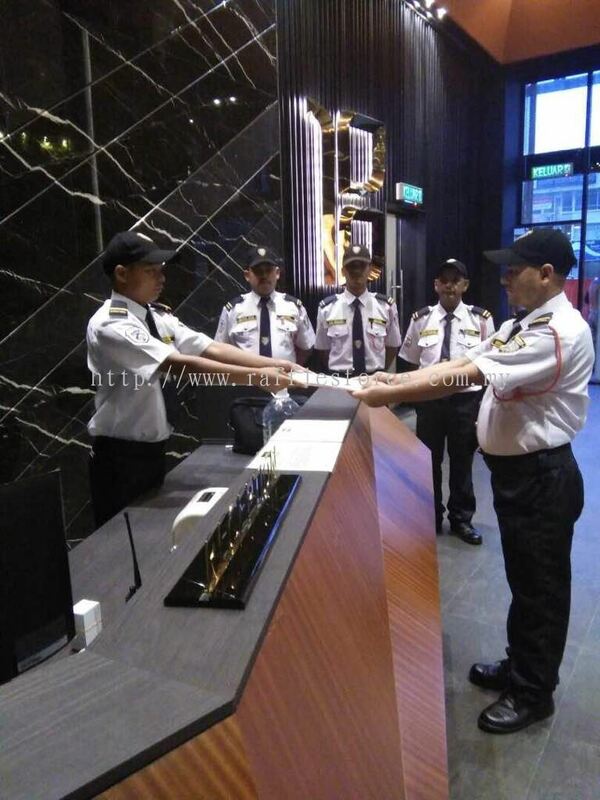 Raffles Force (Malaysia) Sdn Bhd added 3 new products in High Rise Buidings Guarding Category. 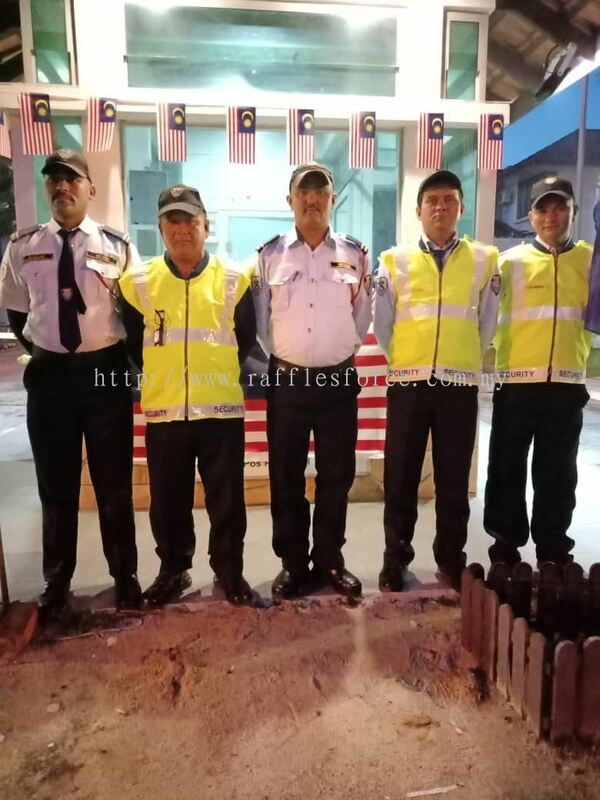 Raffles Force (Malaysia) Sdn Bhd added new photo to the album. 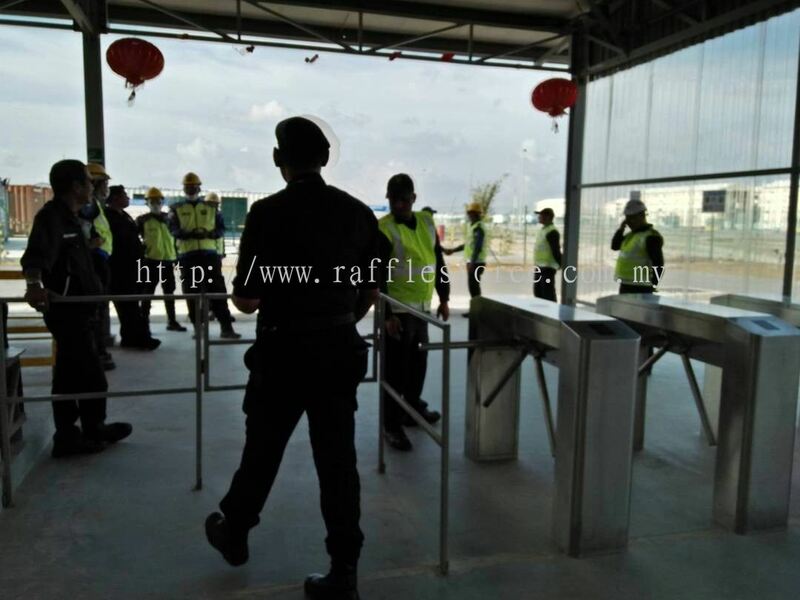 Raffles Force (Malaysia) Sdn Bhd added 4 new products in Under Construction Building (Patrolling Services) Category. 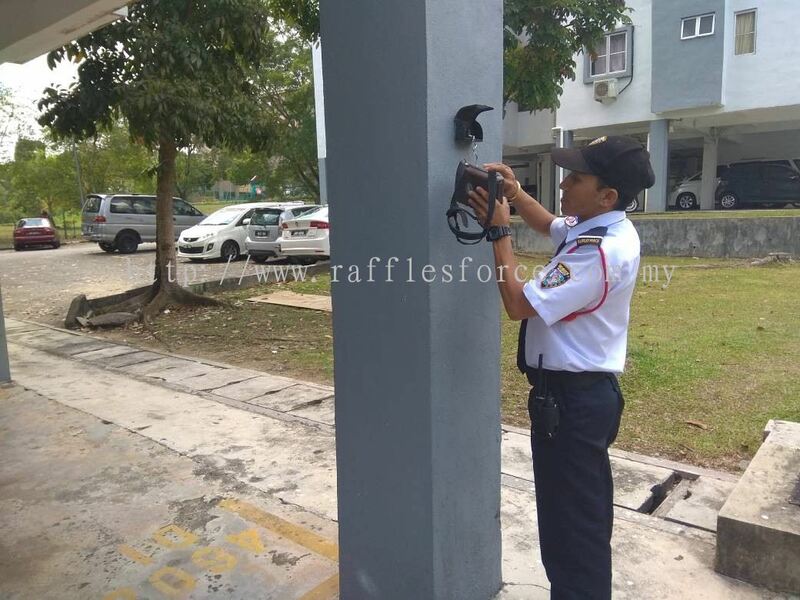 Raffles Force (Malaysia) Sdn Bhd added 2 new products in Residential Protection Category.